We would like to welcome Beth Batho, who has joined the team as a our new healthcare assistant. The practice has a strong interest in medical education being an accredited centre for training GP registrars, as well as retraining of doctors in difficulty, and undertaking a rolling training programme for medical students from Cambridge and East Anglia Universities. The practice has a dispensary and is eligible under the rules to dispense to 34% of its patients. The surgery works closely with the patient participation group to identify possible community services that could be bought to Leiston to benefit the surrounding areas. We regular review how our services are delivered and are always looking for ways we can improve. Currently we reviewing the recall system for chronic disease management and we hope to pilot this scheme in the up and coming months. One of the GP partners has an active involvement in the local Clinical Commissioning Group (CCG) and the practice is keen to develop opportunities to work collaboratively with other practices to provide innovative services to benefit the patients and the business. 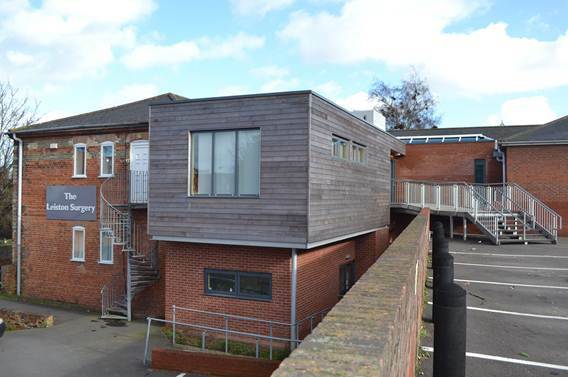 All patients that are registered with The Leiston Surgery are allocated a named GP, if you would like more information on this then please contact the reception team.